I know I’m not the only one out there with a mage alt. If I’m not playing Frost, with my gigantic sonorous bff Blubs by my side, I feel like I’m missing something. A mage needs a familiar. My mage’s typical chosen familiar is a little offbeat, but if you’ve been hanging around this blog for awhile you’ll probably guess that it’s my Perky Pug. But dogs aren’t the iconic companion of a mage. 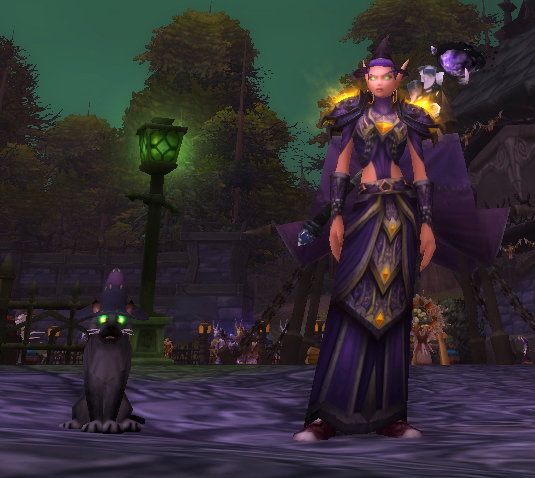 At the point I rolled my mage, cats were the property of Donni Anthania in Elwynn Forest, and my blood elf is far too fabulous to go paying cross-faction prices. Then, another option arose. 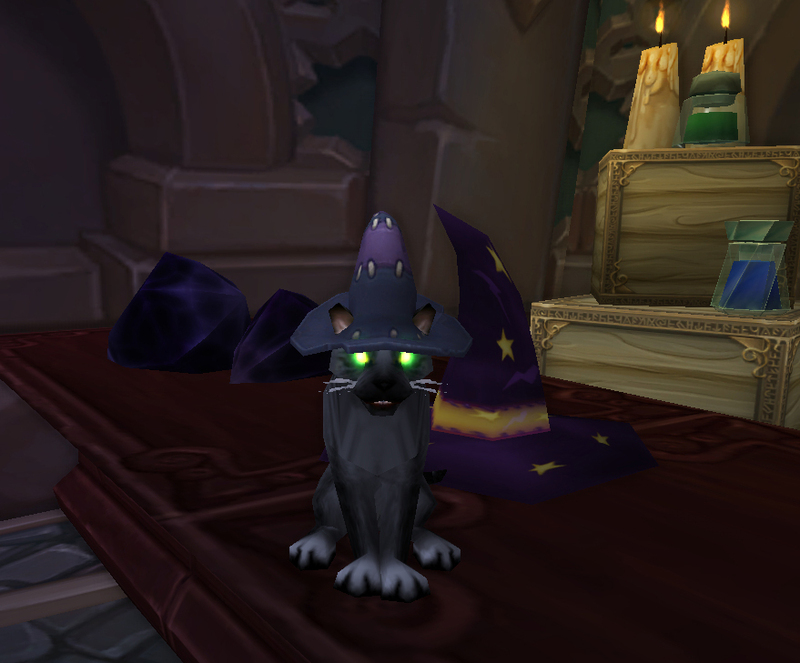 If you play a mage, you will want to add the Feline Familiar battle pet to your arsenal. If you don’t, you should probably start. You’ll still want to add this pet to your arsenal in any case, because it is a fantastic battler, with a unique range of abilities. It’s one of 3 Beast pets with Magic abilities in Onyx Bite, making it nice against Flying pets but super vulnerable to Mechanicals. It also has Stoneskin, making it a strong defensive choice as well. Prowl almost always makes for an excellent combo. Also, oddly, this pet uses Call Darkness, which is coming into vogue as a heal breaker. If you choose that move though, you need to be careful to time it and your Devour ability, depending on which moveset you use. It rounds out its moveset with Pounce, which is good offense but really contingent on your opponent. 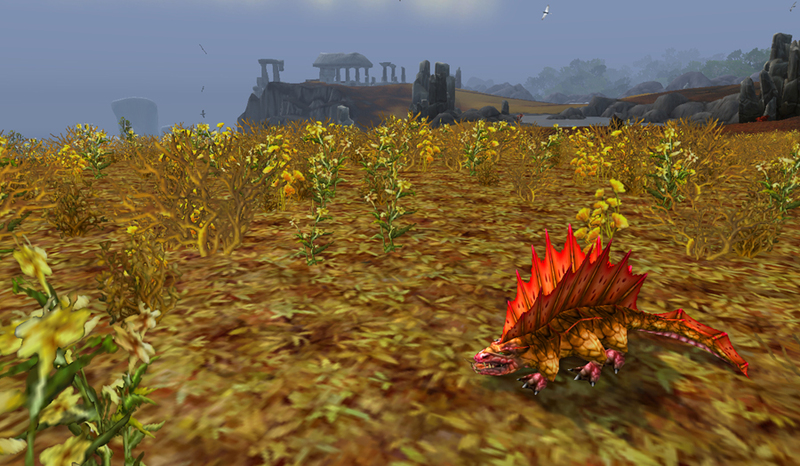 This battle pet is only available during Hallow’s End, which is starting up on October 18th for North America realms. You purchase it with Tricky Treats, the Hallow’s End-only edible candy currency. You can get those from the treat buckets scattered in the inns across Azeroth (with associated achievements for grabbing them all), or various daily quests as well. I really enjoyed the one where you ride over Stormwind and plant stinkbombs everywhere. 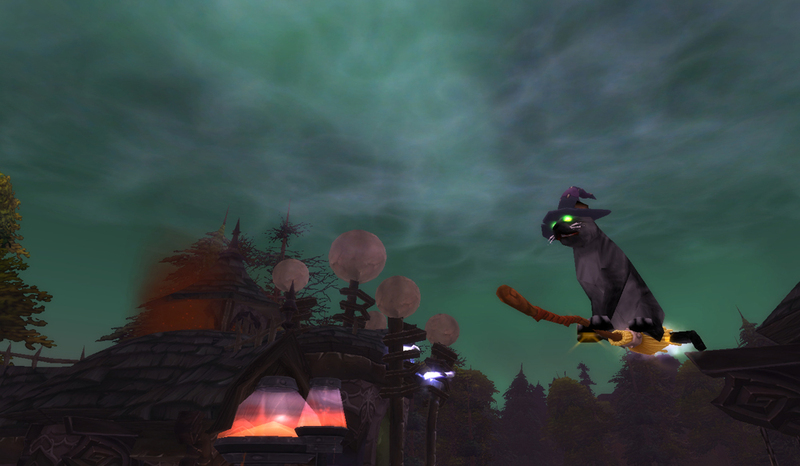 This cat is one of the few companion pets to follow you while you’re on a flying mount. This seems a little goofy, because it’s a cat and all. What it lacks in wings, it makes up for on a teeny tiny flying broom. A cat after any mage’s heart, good or wicked. This entry was posted in pet profile and tagged auctionable, beast, holiday, pet profile on October 4, 2013 by Liopleurodon. The quarantine colony baked in hot sun, cooled by sentient winds in the lush wilds of Nagrand, was once home to a sick child. Garadar was always home to sick children, to sick grown orcs. This young orc’s strong ancestry set him apart from the others. Even with the benefit of blood on his side he couldn’t even raise an axe in his own defense, the essence of being Orcish. Axes were not the only essence orcs possessed after his father urged them all, warrior and shaman alike, to drink the blood of a demon. Garrosh remained untouched by that corruption, remained unpossessing of that strength, wasting away among the clefthoof and the elementals in Nagrand. To this day, the elements remain outside Hellscream’s reach. Eventually and with determination, he grew strong and his path was one of the warrior. Despite being among the wonders of the elements, of nature, of the shaman, those things were useless for him. 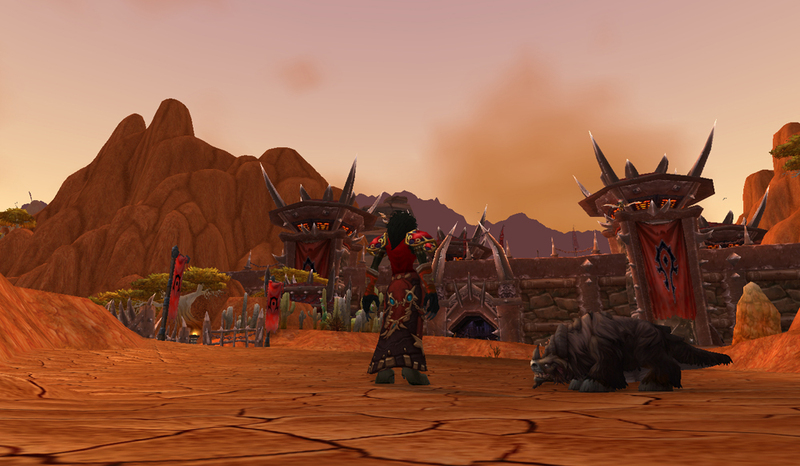 The formidable, unthinking clefthoof remained Garrosh’s model of strength and health. And so with their unwitting aid, he learned to Smash, to Trample those who opposed him, and trample half of those who were once his allies. His Orcs were as a Stampede over all life on Kalimdor, and were threatening the world in their rage. Over time, he grew so opposed to the elements, he allowed his Dark Shaman to continue their rituals in a way which rivaled the betrayal of the elements by Gul’dan and his warlocks. 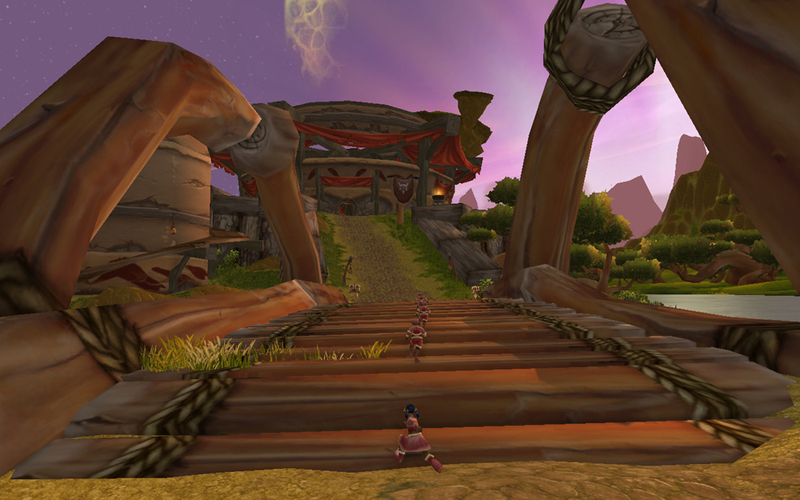 Over time, the Orcs and Garrosh found their own, treacherous way to Survive. So, when a worgen druid comes to your keep with her Clefthoof Runt, she hopes you feel despair deep in your heart for the only true home you knew. 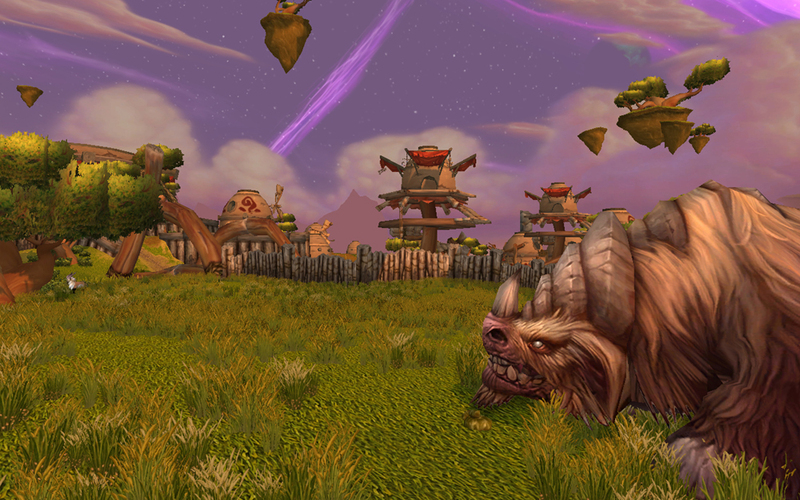 That you, for one moment, smell the honey-sweet winds of Nagrand before you remember that she is here to kill you. That moment of weakness is all she’ll need. What would Greatmother Geyah say if she could see you now, Garrosh? Thrall’s disappointment pales in comparison. This entry was posted in pet profile, Uncategorized and tagged beast, outland, pet profile, tamed on September 16, 2013 by Liopleurodon. With the news that we are likely getting an extra 350 pet slots to make an even thousand this upcoming PTR build, it’s rather obvious that there are a lot (a LOT!) of companions in-game. There are some we grow attached to for one reason or another. My two closest companions are my perky pug Bertha, who is SO getting a pirate hat next patch, and Mr. Wiggles, my former raiding companion. I think a lot of tamers have pets who have seen them through rough fights or are just plain freaking cute, and develop a sense of companionship with their little friend. There are only a very few though, which you can become attached to as a function of quest design. She’s one of several raptor pets which have a similar model, and are largely functionally identical. You can go get a replica of her from Breanni in Dalaran is you have 50g on you, though in a recolored black. 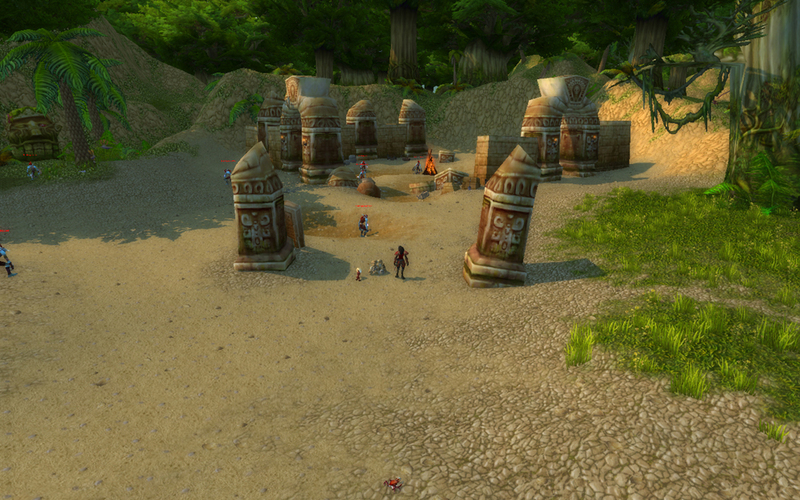 Most of the others are attained either by searching for rare mobs or drops, or buying them off the AH. Raptors generally aren’t much special as fighters (standard bite abilities, a few speed modifiers), so these are easily overlooked. 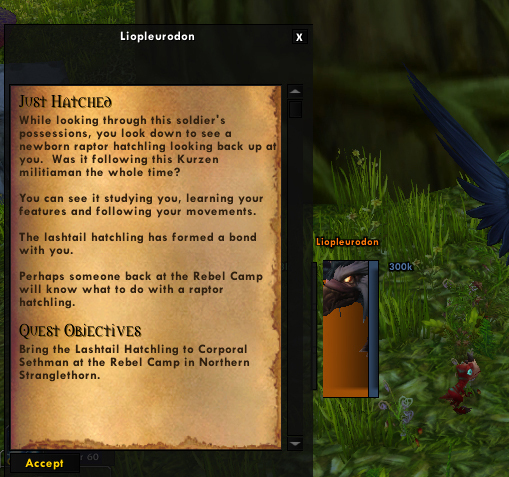 But the Lashtail Hatchling is different. 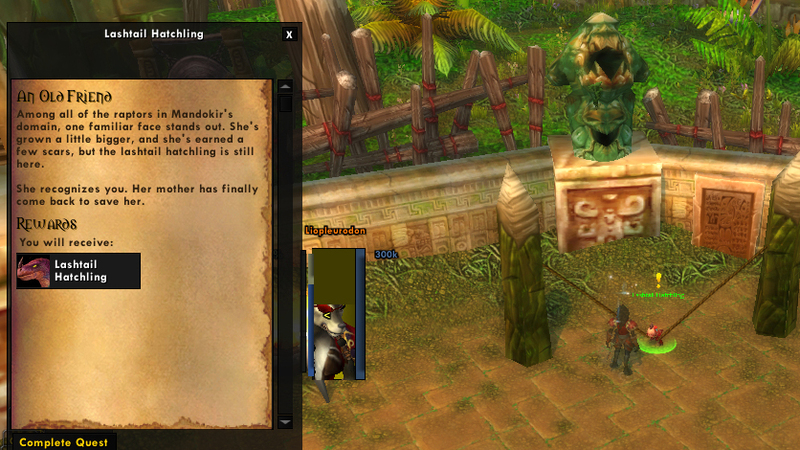 Her story starts in the steamy jungles of Stranglethorn Vale. But that’s just because I’m there. Yowza. 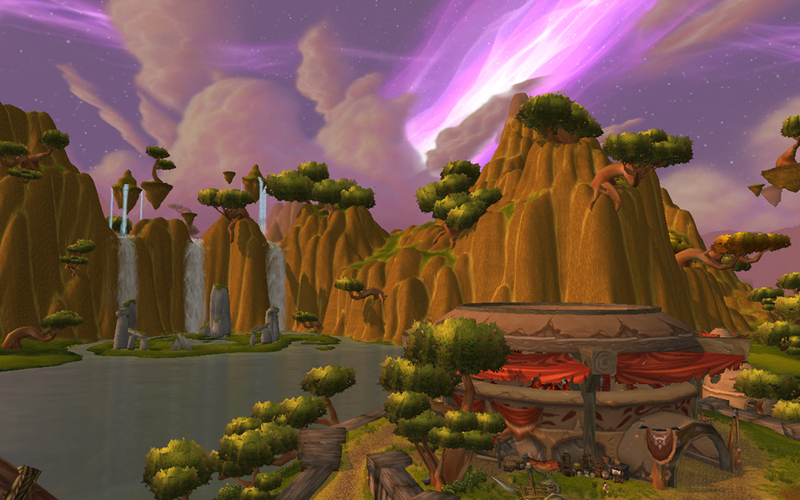 As Alliance, you start off with that same old yarn about Kurzen that’s been there since vanilla. Yeah yeah, jungle remedy. Make sure you do The Fate Of Kurzen at the same time for efficiency’s sake. Unlike those old yarns, this time as you complete the quest, something happens. This quest is a pop-up auto accept. After you turn it in, you get a quest to feed her. You kill basilisks, she eats, no big. On your way back to the rebel camp, make sure to swing past the Kurzen compound and free a group of adventurers. They make their way to camp to open up a later step. Right now you won’t have a quest per se, but if you visit this pile of skulls in the Balia’mah ruins, your raptor will find a souvenir. Aw. …ish. 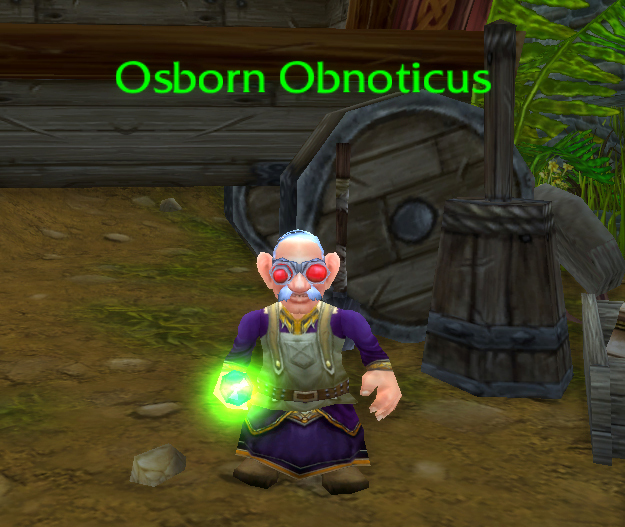 When you return to camp, you hand the skull to the recently freed gnome, Osborn Obnoticus. He’s all, “ooh, look at the size of this skull! This guy must have been huge. And powerful. Let’s screw with voodoo magic and bring him back to life.” And of course, your character thinks this is a fantastic idea, because nothing bad ever happened by trusting a gnome to be skilled with black magic he’s never encountered before. So it comes as a huge surprise that, after a super adorable fetch quest and a standard kill-guy-loot-body quest, the gnome’s magic works flawlessly. No, really! 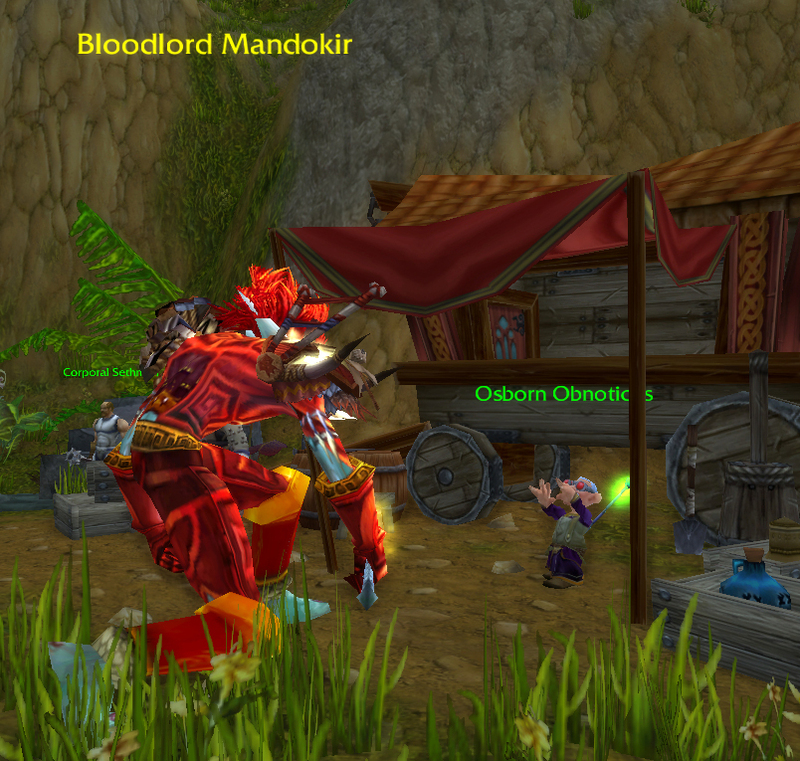 The thing is, the person whose skull you found and the gnome resurrected is none other than Bloodlord Mandokir, the raptor boss from Zul’Gurub. Whomp whomp. He tells you that you’d better hand over your new little friend, or the gnome gets it. Even though I’m sure we’d all prefer it if the gnome gets it, your only choice is to hand over your new little friend. 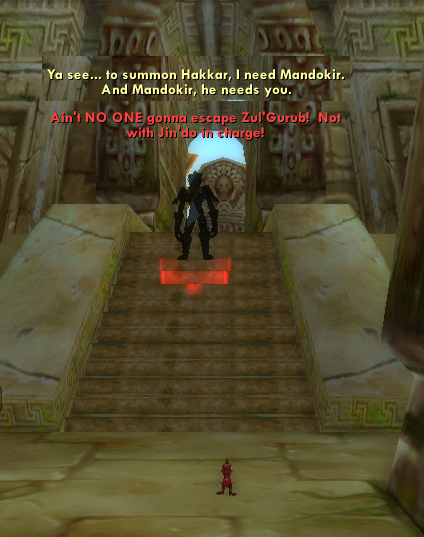 Bloodlord Mandokir then runs back to ZG, leaving you emptyhanded and emptyhearted. But hope is not lost. You get a breadcrumb to the next quest hub, where the eccentric Priestess Thaalia has you collect feathers from other raptors to do some magic. You are able to see your raptor friend. She’s still alive! But Thaalia needs more powerful reagents in order to do something about it. oh BOY and then. You now inhabit the body of your raptor friend, and attempt a daring escape, while avoiding all the trolls. It’s like Metal Gear Solid meets a basket of kittens in a way that doesn’t use kittens as a hastily constructed disguise that shouldn’t fool anyone. 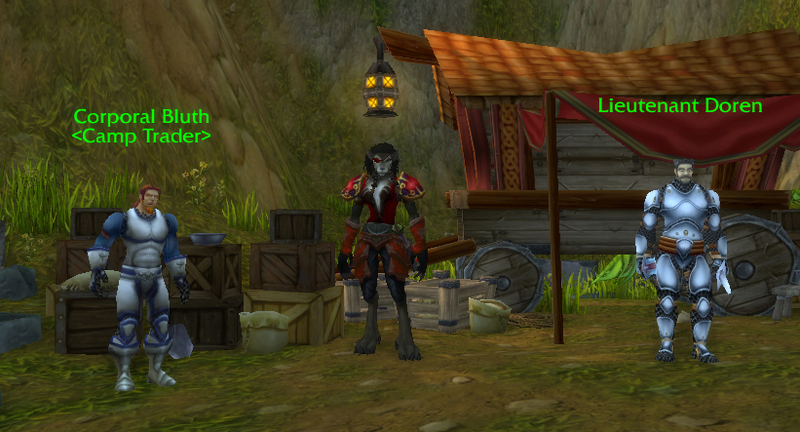 So, what’s a worgen to do? 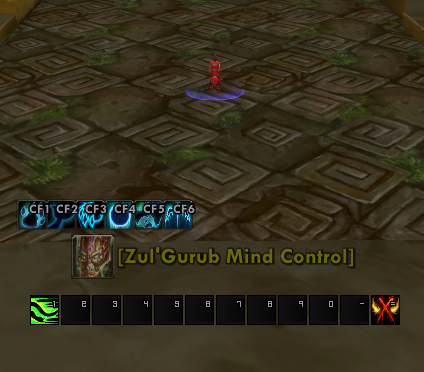 First, talk to the guy also in the camp about what you’ve seen, then go bust into the level 85 heroic version of Zul’Gurub to crack some skulls and get your raptor back! The Bloodlord fight is soloable for most classes now, as the Decapitate mechanic isn’t activated with just one player. I found the trash to be much more difficult than the fight. 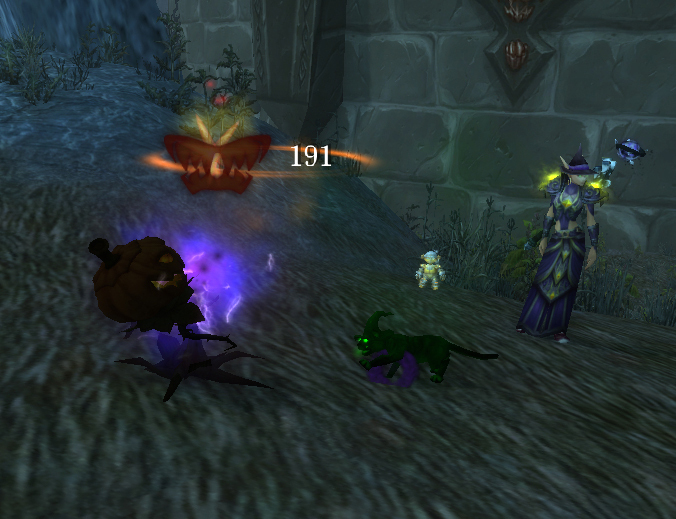 Maybe it was because Bloodlord kept my baby raptor chained up that whipped my worgen into a fury of hair and DPS. At any rate, we were happily reunited. And now we go on adventures together. No, really. Whenever there are dead bodies around, friendly or not, Imoinda is sure to bring me a bone to play fetch. This entry was posted in pet profile and tagged beast, pet profile, quested on August 9, 2013 by Liopleurodon. 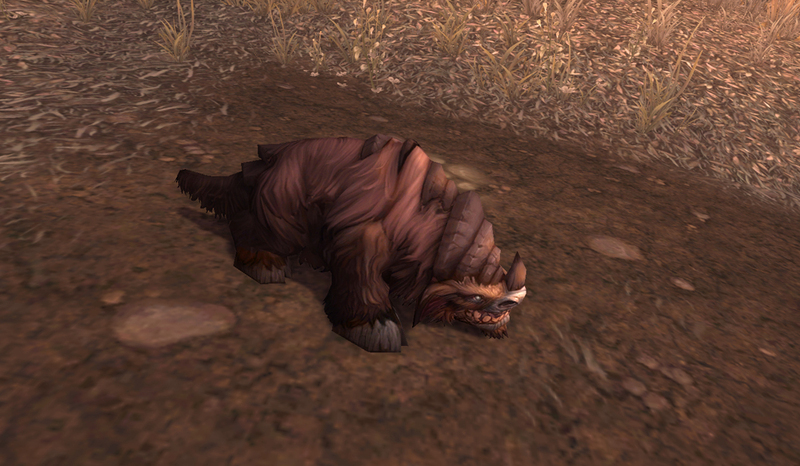 These little guys first entered the game when 5.2 was released. There are 4 of them in different colors, and each has multiple breeds. I tend to favor the speed breed, but it’s really personal preference. They all randomly drop from the Zandalari Dinomancers, though at this point you may have better luck farming them off your friendly local auction house. Blizzard decreased the drop rate on them after a couple weeks, and they tend to go for 2-3K each. Each color has a slightly different moveset, and one of them is entirely missing the ability which made me fall in love, but only these mini-Oondastas have it. I really can’t adequately express how fun and amazing this ability is in photos, so I made my very first vlog! I hate myself for using the word vlog, I honestly do. And it’s a long one, but it’s also a video walkthrough for the Nitun and Dos-Ryga Beasts Of Fable fights post-5.3. I may or may not need an editor. As noted in the video, I love this in PVP and it also makes the revamped Beasts of Fable fairly trivial. He’s just all-around fantastic. I chose the Kneebiter, because every so often I can use Bloodfang to try & heal him. The downside of these pets (all of them!) is that they might as well be made of slightly damp paper towel. If you look at them wrong they keel over and die. Bloodfang also does crazy, crazy damage with the various debuffs you can lay down. The Anklerender is a good option for PVP as well, but the similar healing ability Devour shares a slot with Black Claw. Dudes, we are taking Black Claw on these pets if the other option in the slot is literally any other pet ability available in the game right now. The reason the Anklerender might be a better choice for PVP is because he has the Primal Cry full team speed debuff ability available in the 2nd slot, and speed is quickly becoming the decider in PVP. 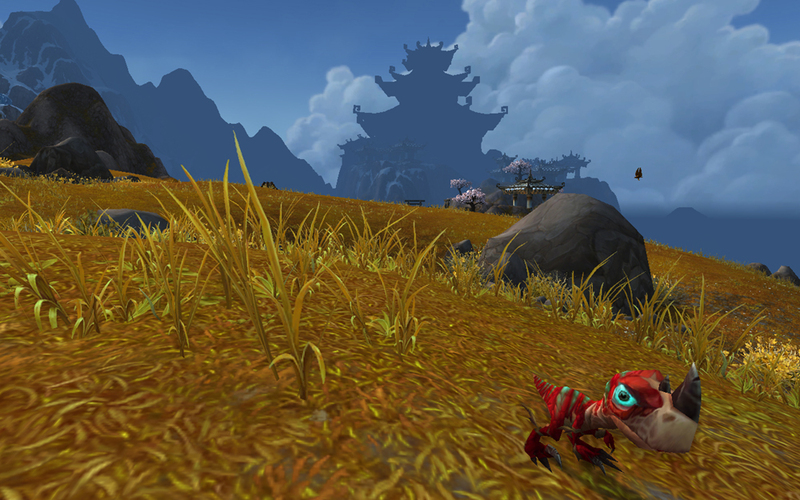 The third baby Oondasta with Black Claw is the Toenibbler. He has a similar setup to the Anklerender only instead of Hunting Party, which adds that additional damage multiplier, he has Flank. It hits a few times and all, but this makes him kind of an underwhelming choice. A quick mention for the 4th pet of this type, the yellow-toned Footslasher. He has the Exposed Wounds ability instead of Black Claw. The debuff does a similar thing, but to a smaller magnitude, for a longer duration. So, it might be easier to manage, but it won’t have nearly the burst. This entry was posted in video and tagged 5.2, auctionable, beast, drop, elite pet battles, pet profile, pet pvp on June 7, 2013 by Liopleurodon. I admittedly have a soft spot for these guys. Dinosaurs gotta stick together, amirite? There’s a very special thing about these dinosaurs in particular that makes them heartwarming. It has nothing to do with how they fight. It’s how they spawn: almost literally. 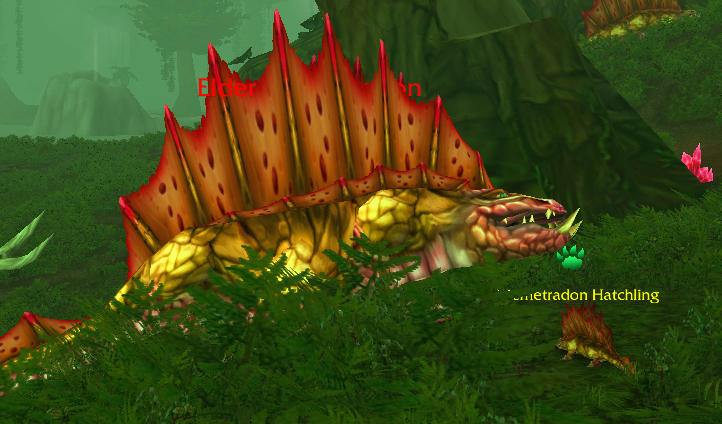 The Elder Diemetradon mobs in the area have a chance to spawn as a ‘mother’ diemetradon. 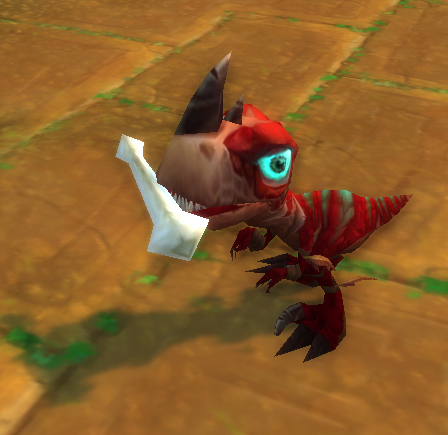 This won’t change the mob itself in any way, but after a couple minutes, it will spawn a baby diemetradon hatchling! 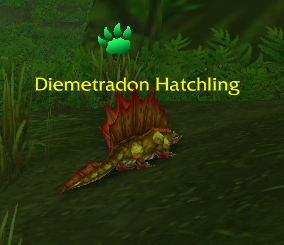 If you fight that diemetradon hatchling and kill it, the mommy will make a new baby diemetradon in a few minutes which is actually really screwed up if you think about it. 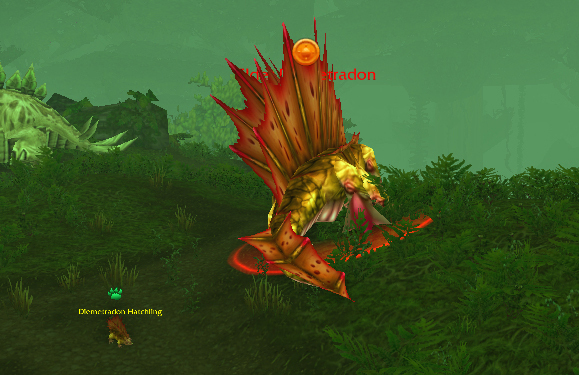 Once the elder diemetradon mobs are spawned they won’t spontaneously become mommies, so if you’re hunting hatchlings you’ll have to put them down, preferably via a moonfire to the face. 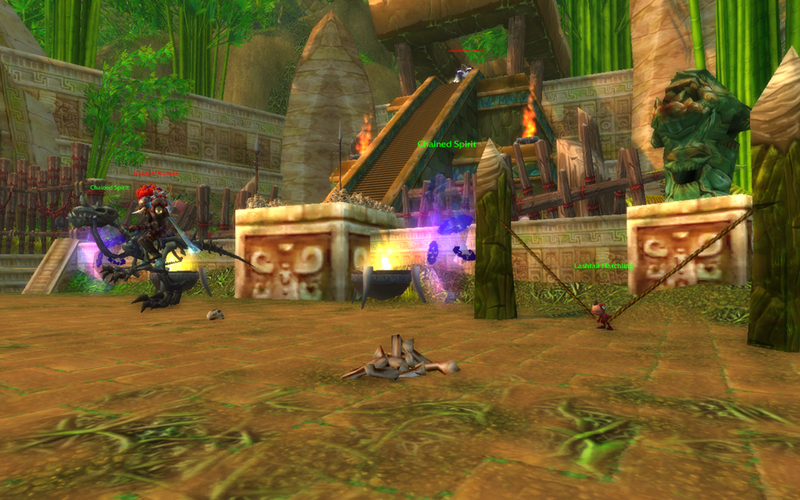 To farm these guys for a rare, I set raid markers on the diemetradons I knew were mommies. After around 10 minutes of circling to make sure I’d marked all the momma dinos, the carnage began. Eventually, enough non-momma diemetradon respawned as moms for me to farm up a rare, hooray! A few other animals share this unique, adorable pattern. Cheetah Cubs and Infested Bear Cubs do, and I’ve heard Tiny Twisters do too, though I haven’t tried this out myself. Flayer Younglings do too, though that’s even more disturbing as they’re humanoid type pets. As a fighter the diemetradon is a fairly standard Beast, with a mix of critter and beast attacks. He has one of those handy two-turn abilities where, if you kill something with it you gain health, and a mix of critter and beast abilities otherwise. But the novelty of his relationship with his mom is enough to make him a fun choice to seek out for a tame. Maybe today you should give your own mother a call. She worries, you know. This entry was posted in pet profile and tagged beast, tamed on May 12, 2013 by Liopleurodon.